Sweeney steps into a new lead role at SSGA from Goldman Sachs, focusing on growing the group's ETF sales. State Street Global Advisors (SSGA), the asset management arm of State Street Corporation (NYSE: STT), has on-boarded Kathryn Sweeney as its newest Head of SPDR Americas Institutional Sales. The move comes amidst a groundswell of demand for exchange-traded-funds (ETFs) in North America, namely amongst institutional clients. ETF assets reached a record $2.6 trillion in 2016, having grown by a margin of 18 percent on a year-over-year basis, according to Broadridge’s FDI tracking data. With demand and activity for ETFs steadily rising during H1 2017, SSGA has opted to strengthen its institutional sales team, laying the framework for the hire of veteran Ms. Sweeney. SPDR ETFs encompass a composite of international and domestic asset classes and are managed by SSGA Funds Management, Inc. 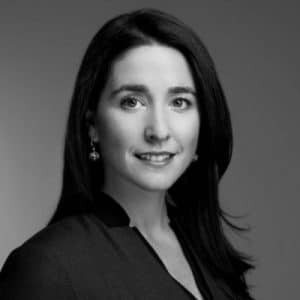 The hire of Ms. Sweeney as the group’s Head of SPDR Americas Institutional Sale will see her reporting to Nick Good, SSGA’s Co-Head, along with Rory Tobin of the global SPDR business. In this role, she will be tasked with developing and leading the execution of the SPDR Americas Institutional Sales strategy across the Americas, a key position of growth for the group. Furthermore, she will also be responsible for collaborating with the Americas Institutional Client Group (ICG) team under Barry F.X. Smith, the acting Head of the Americas ICG at SSGA, with the goal of fostering the continued drive of ETF sales with asset owners. Ms. Sweeney joins SSGA from Goldman Sachs, having worked for nearly two decades at the lender in several senior level roles, focusing on its ETF business. Her tenure has seen her work in both London and New York, garnering extensive experience in the ETF and product strategy space. In particular, she held roles such as Global Head of Distribution and Product Strategy for the Securities Division, with additional stints as Head of US ETF Execution and Risk, and as an ETF trader in both cities. “Given Kathryn’s visibility and relationships within the ETF industry we are confident that she will continue to advance the SPDR position in the institutional market, and we are excited to have her join our Global SPDR team,” he added.